This is the day when the Spirit came. This day was Pentecost, the day of signs and wonders when the mighty wind of the Spirit gave birth to the Church. The images of Pentecost are abundant: the disciples and women, including Mary the mother of Jesus, huddled in the Upper Room; the violent sound of the wind; tongues of fire; sounds of languages other than those spoken in Galilee; the disbelieving observers; the newfound prophetic eloquence of Peter; and the birth of a community and movement such as the world had never seen. Paul emphasizes that God “activates all of these gifts in people” (1 Cor. 12:6b) and that the community of faith thrives when all of these gifts are used for its common good. Simply put, the more all of these gifts are used, the more vibrant, the more powerful, and the more Spirit-filled the Church. My family church (St. Stephen Baptist Church in Washington DC, now Temple Hills, MD) did not strictly follow the Lectionary or Church calendar during my childhood. As a result, Pentecost was not observed. My first experience with Pentecost Sunday was in a Church of God in Christ near Florence, South Carolina. All the minister had to do was proclaim that it was Pentecost Sunday. When he did, Holy bedlam ensued. People shouted, ran throughout the sanctuary, and spoke in tongues as the Spirit gave utterance. There was no mention or emphasis of the gifts of wisdom, knowledge, faith, prophecy, discernment of spirits, or the interpretation of tongues. And I have not heard this emphasis in my other experiences of Pentecost. 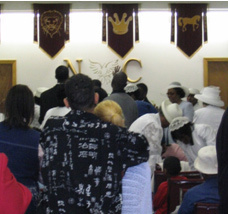 Thus, this unit will focus on the diversity of gifts not traditionally emphasized relative to Pentecost, as these have been graciously given to our congregations by God to create, sustain, and strengthen the historical and prophetic witness of the Black church, in the past, now and in the future. I suspect knowledge is not the first thing that comes to mind in our pulpits and pews when discussing gifts of the Spirit. Yet, perhaps it should be. Our churches receive gifts of words of knowledge from congregants with advanced degrees and those with “street smarts.” Knowledge, defined in the passage as gnosis in the Greek, speaks to the importance of intelligence and understanding, especially in relation to the course of faithful living and action of our congregations in our historical and current reality of institutional racism. The adage held true for our ancestors and holds true for our congregations today: Knowledge is power. And that power, Paul says, is a gift of the spirit for our churches. Mary McLeod Bethune (1875-1955) is known to many of us as one who believed in the power of knowledge. As founder of Bethune Cookman College, she blazed a path for education that benefits students to this day. However, fewer may know of the role the Spirit played in Mrs. Bethune’s achievements. She attended a Presbyterian mission school at age eleven, won a scholarship to Scotia Seminary in Concord, North Carolina, and attended Moody Bible Institute.8 Mary McLeod Bethune provides an indication of her understanding of the role the fruit of the Holy Spirit played in her work in the following excerpt from her “Last Will and Testament” published by Ebony Magazine in 1955, the year of her death. Amen to the legacy born of the Spirit of knowledge. On the day of Pentecost our churches would do well to remember the gift of faith passed on to us by the apostolic traditions of the apostles and the early Church leaders. This gift, defined in Hebrews 11:1 as the “assurance of things hoped for, the conviction of things not seen,” has been bequeathed to our congregations through generations of our ancestors who were saved by faith and who believed in the hope of God through Jesus Christ. Our churches would not exist without the faith of our ancestors in faith: ministers, deacons, trustees, choir members, ushers, committee members, who worked tirelessly for a better day they believed by faith was sure to come. I don’t know much news. Brother Edmund’s funeral will be at 2 o’clock tomorrow at Little Mount (Baptist Church in Blackstone VA). I do hope that his mother is feeling better. I know her and all the people knew him, as he went to Little Mount every time he could. He always went to other churches when he could to any programs and such. He just seemed to be interested in anything doing at church, so I hope that his soul is at rest and saved. where she’s gone.” The gift of faith that I was blessed to receive is ours to cherish, ours to exercise, and ours to pass on. Where would the historical and present African American church be without the gift of prophecy? Prophetic utterance has brought our congregations through slavery, disenfranchisement via Jim Crow laws, racial terrorism, and the Civil Rights era to this very day. One cannot easily estimate the value of this gift to our congregations. Contrary to popular secular and perhaps sacred belief, the prophet is not one who is called to foretell a far flung future. The word comes from the Greek “prophetes” and the Hebrew word “nabi,” translated to mean, according to Bernhard Anderson, “one who speaks for another, especially a deity.”10 Prophets in the First Testament interpreted the events of the present in light of God’s plan, to communicate the message for that time, and to inspire the people to respond faithfully in light of their current situation. Given that definition, the roll call of prophetic voices of African Americans is long indeed and they are not necessarily confined to the pulpit. My favorite prophetic voices include preachers such as Julia Foote, Howard Thurman, Gardner Taylor, Martin Luther King, Jr., and Cornell West, but they also include persons who are not preachers such as Fannie Lou Hamer, Marian Wright Edelman, and President Barack Obama. These are voices gifted by the Spirit with the ability to interpret the present time in light of God’s plan and reign. These words, twenty years later, are still prophetic for our times. This reflects the sustaining power of the prophetic word for our churches that is a gift of Pentecost. The word “discerning” comes from the Greek word “diakrisis,” which means distinguishing or judging. However, according to Strong’s Concordance, the purpose of the discerning process is not for the purpose of passing judgment on opinions, as to which one is to be preferred or more correct.12 This is an important distinction for our congregations with respect to this spiritual gift, particularly as it relates to our history. African Americans used this gift to distinguish the will of God for our people relative to the decisions of humans regarding dehumanization based on race. It was that discernment that called the faith of our people to action concerning the will of God for us. Examples of this abound in our history, with people such as Richard Allen, Harriett Tubman, Sojourner Truth, Frederick Douglass, Charles Mason, Howard Thurman, Martin Luther King, Jr. and Bishop Desmond Tutu. Discernment is a spiritual gift that has been, and is, a benefit to our individual lives in relation to the will of God. It has been an immense gift to our corporate lives and the church as well. ….Many religious people make the same mistake today. Some of us are more concerned with school prayer in Jesus' name than we are with quality education for all in the name of equal opportunity. Some of us are more concerned with the Ten Commandments being posted on the wall of the courthouse than we are with impartial justice within the courthouse. Some of us are more concerned with condemning gay couples than we are with providing loving homes to the thousands of foster children whom gay couples could adopt, if given the opportunity. The real consequence of majoring in conventions and missing the commandments is that while we uphold religious protocol, people suffer and even die through neglect of the essential commandments of God. Reverend Samuels illustrates the importance of discerning spirits, past, present, and future for our congregations. Glossolalia, or speaking in tongues, is a gift both experienced and emphasized in many of our churches as evidence of the presence of the Holy Spirit. It is also a one with a long and controversial history. While evident during the time of the apostles, according to Cleon Rogers, writings of the early church fathers such as Polycarp, St. Clement, and St. Ignatius do not speak of the existence and use of this gift during the post apostolic period from 100-400 CE.14 Rogers concluded that “even if the gift was in existence, in spite of all the testimony to the contrary, it was neither widespread nor the normal Christian experience.” By the medieval periods, church leaders had in fact declared that glossolalia was no longer possible, and speaking in tongues was denounced as either heresy or demon possession. Interestingly enough, glossolalia emerged as a result of the Reformation and the religious freedom subsequently afforded in the United States during the 18th and 19th centuries. There are accounts of glossolalia ranging from the United Methodist and Moravian churches to the Church of Jesus Christ of Latter Day Saints (the Mormons) during this period. The best documented arrival of this gift to our African American congregations was the Azusa Street Revival (1906-1909). 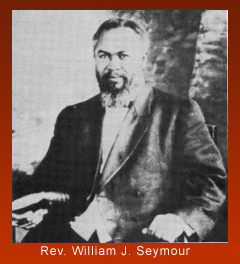 William Joseph Seymour, who presided over the revival, is called the “father of Pentecostalism.” Born in Louisiana in 1870, Seymour attended a segregated Baptist church in his childhood years. He became a Baptist minister in his twenties, but became acquainted with the holiness movement when he moved to Cincinnati at age 30. A three year stay in Texas was a pivotal time in Seymour’s life; he attended a school and accepted the holiness teachings of Charles Fox Parham. During this time, he accepted tenets of Parham’s doctrine, which included baptism of the Holy Spirit through the speaking of tongues. This gift was very present during Seymour’s ministry on Azusa Street, where people came from near and far to the services. 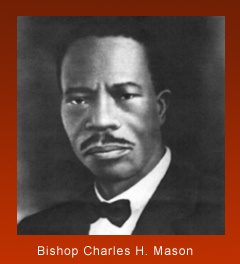 Mason’s experience was a pivotal moment in relation to the experience of glossolalia in African American churches. Today, the Church of God in Christ he founded, other Pentecostal and Holiness denominations in our tradition, Baptist, AME, and even Catholic congregations believe in the existence and importance of tongues as a spiritual gift. An account of the Azusa Revival DVD may also be purchased through www.VisionVideo.com. The importance and miraculous nature of glossalalia as a spiritual gift, and the interpretation of tongues cannot be minimized. The interpretation of tongues is closely associated with prophecy in that the interpretation, which is not a literal translation, is spoken forth as a word to the whole of the congregation. This is based on the writings of Paul in 1 Corinthians 14, where he emphasizes that it is through the interpretation of tongues that the whole body of Christ is “built up.” After providing an analogy speaking to the engagement of mind and spirit as it relates to interpretation of tongues, Paul advises that “if anyone speaks in a tongue, let there be only two or at most three, and each in turn; and let one interpret. But if there is no one to interpret, let them be silent in church and speak to themselves and to God.” I Cor. 14:27-28) The gift of tongues is bestowed by the Spirit to an individual. The gift of interpretation is one that edifies the church as a whole. The importance and use of this gift, although dependent on the individual gift, is both vital and viable for the building of our churches. 2. In the Hand of the Holy Spirit is the account of the life and work of artist J.B. Murray (1908-1988). A farm worker from Glascock County, Georgia who could neither read nor write, he began to paint at age seventy inspired by the Holy Spirit. By the time of his death, his art had been shown nationally and internationally. 3. Miracles can come in many forms. Miracle’s Boys is a dramatic series broadcast in 2005 by Nickelodeon. Based on the book by Jacqueline Woodson and directed by Bill Duke and Spike Lee, it tells the story of three orphaned brothers in Harlem and their struggle to keep their family together. Their ability to do so given their circumstances is miraculous. Matthews, Laura. A Study of the Response to the Biblical Role of the Holy Spirit: in the African American Church. Bloomington, IN: Anchor House 2008. Taylor, Clarence. The Black Churches of Brooklyn. New York, NY: Columbia University Press, 1994. Padgelet, Mary G. In the Hand of the Holy Spirit: The Visionary Art of J.B. Murray. Macon, GA: Mercer University Press, 2000. Hinson, Glenn. Fire in my Bones: Transcendence and the Holy Spirit in African American Gospel. Philadelphia, PA: University of Pennsylvania Press, 2000. Bana, George and Jackson, Harry. High Impact African American Churches. Ventura, CA: Regal Books, 2004. 2. Anderson, Bernhard. Understanding the Old Testament. Englewood Cliffs, NJ: Prentice Hall, 1986. p. 568. 3. Dinwiddie, Boyd. In Our Own Words: A Treasury of Quotations from the African-American Community. New York, NY: Avon Books, 1996. p. 291. 10. Anderson, Bernhard. Understanding the Old Testament. Englewood Cliffs, NJ: Prentice Hall, 1986. p. 248. 11. Washington, James. Conversations with God: Two Centuries of African-American Prayers. New York, NY: Harper Collins, 1995. pp. 260-261. 12. Strong, James. The New Strong’s Exhaustive Concordance of the Bible. Nashville, TN: Thomas Nelson Publishers, 1990. p. 1253.